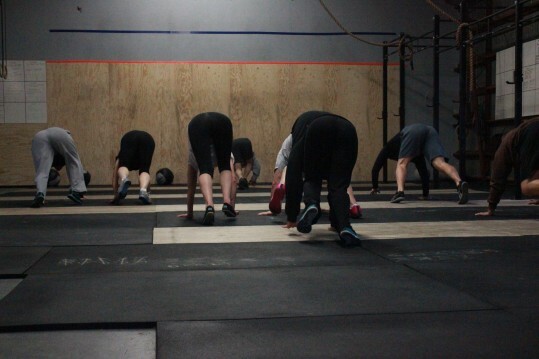 who doesn’t love a good bear crawl warm up? Let the challenge begin! Runner Brian is hard at work in Pittsburg, Jenny is gone for 4 months and Dan is out of town for a month. We have no excuse to not make the most out of this challenge – our bad influences will be gone. I hope you all got your fix this weekend, I know I did! I think it’s safe to say we all had a great time at Molly’s on Saturday morning and the crab feed on Saturday night. Now it’s time to clean it up, get rid of the booze in the house, get rid of all the treats, and that includes your “paleo” treats! When you are ready for your before measurements and pictures let me know, make sure you have them done this week! Bone Broth and Lead Toxicity: Should You Be Concerned? I want to first thank Heather for the beautiful flowers. Thank you so much. Very sweet! I want to give a big thanks to George, Molly, and the family. Saturday was such a wonderful time, and the best food I have eaten in a long time. Lots of big happy bellies leaving your house that day. Elijah I can’t thank you enough for all that you have done for me. You have changed my life in so many ways (crossfit/paleo). You have taught me so much throughout the past 6 months of being at ACF. I have gotten stronger, leaner, and meaner….Most of all I have a brother from another mother that I know I can count on to pick on me in a moments notice. Mia and Nicholas thank you for the key chains me. I will treasure them when I am missing home. To the rest of my ACF family I will miss you all. You all have become my second family. I will keep an eye on you all on the blog, and I will be home before you know it! It’s not good bye, its see you soon! Sorry I missed your send offs. Timing of life made it difficult to get to them. I have had a blast working out with you over the past few months and look forward to continuing them when you get back. I hope you have a great experience in Japan, I know you will do great. Sorry I missed sending you off, Jenny. Have a great time, play hard, and be safe. On a second note. Elijah was in a sadistic mood this am, because this was a metabolic throwdown. Hopefully I gave you afternooners a time to strive for. Dan may be out of town, but I bet he could do the wall balls with a rhino head or whatever else they have laying around the office. jenny i will miss you have a great time .